William McKendree Gwin (October 9, 1805 – September 3, 1885) was an American medical doctor and politician, serving in elected office in Mississippi and California. In California he shared the distinction, along with John C. Frémont, of being the state's first U.S. senators. Before, during, and after the Civil War, Gwin was well known in California, Washington, DC, and in the south as a determined southern sympathizer. Gwin was born near Gallatin, Tennessee. His father was the Rev. James Gwin, a pioneer Methodist minister, who served under the prominent Rev. William McKendree, America's first native-born Methodist bishop and namesake of the younger Gwin. Rev. James Gwin served as a soldier on the frontier under General Andrew Jackson. William Gwin pursued classical studies and graduated from the medical department of Transylvania University in Lexington, Kentucky in 1828. As the son of a chaplain who was at the Battle of New Orleans, the young Gwin served as a personal secretary to President Andrew Jackson during the latter's 2nd term. Gwin then practiced medicine in Clinton, Mississippi until 1833, when he became the United States Marshal for Mississippi, serving for one year. He was elected as a Democrat from Mississippi to the 27th Congress of 1841 to 1843. Declining a renomination for Congress on account of financial embarrassment, he was appointed, on the accession of James K. Polk to the Presidency, to superintend the building of the new custom-house at New Orleans, Louisiana. He moved to California in 1849 and participated in the 1849 California Constitutional Convention. He also purchased property in Paloma, California, where a gold mine was established. The Gwin Mine would eventually yield millions of dollars, providing him with a fortune. He also organized the Chivalry wing of the Democratic Party. Before the admission of California as U.S. state, Gwin was elected as a Democrat to the United States Senate. He served from September 10, 1850 to March 3, 1855. He was a strong advocate of Pacific expansion and in 1852 advocated a survey of the Bering Strait. Gwin presented a bill that, when approved by the Senate and the House, became the Act of March 3, 1851, which established a three-member Board of Land Commissioners to be appointed by the President for three-year terms (the period was twice extended by Congress, resulting in a five-year term). The function of this Public Land Commission was to determine the validity of Spanish and Mexican land grants in California. California Governor John Bigler turned to Gwin's rival David Broderick when Gwin failed to help Bigler obtain the Ambassadorship to Chile. Broderick was appointed Chairman of the California Democratic Party, which split as a result. Gwin had a duel with Congressman Joseph McCorkle with rifles at thirty yards following an argument over his alleged mismanagement of federal patronage: Shots were fired by both men, but only a donkey died. The split added turmoil to California's political scene, including bribery, physical intimidation, and non-stop political maneuvering. Although weaker than Gwin's faction, the Broderick faction was able to block Gwin from being re-elected senator in 1855. When the Know Nothings exploited this weakness, Broderick accepted Gwin's candidacy, and Gwin was reelected to the United States Senate and served from January 13, 1857, to March 3, 1861. He took Joseph Heco with him to Washington, D.C. to meet President James Buchanan. In 1858, Gwin challenged Massachusetts Senator Henry Wilson to a duel, but the two resolved their differences through a Senatorial arbitration committee. During the 32nd and 33rd Congresses he was chairman of the U.S. Senate Committee on Naval Affairs. During his second term he was also a member of the U.S. Senate Committee on Finance. While in the Senate, he secured the establishment of a mint in California, a survey of the Pacific coast, a navy yard and station and carried through the senate a bill providing for a line of steamers between San Francisco, China, and Japan by way of the Sandwich Islands. By 1860 he was advocating the purchase of Alaska from the Russian Tsar. Despite the newly formed Republican Party's winning several important urban contests in California, Gwin's wing of the Democratic Party did very well in the California elections of 1859. After the election of Abraham Lincoln in 1860, Gwin helped organize abortive secret discussions between Lincoln's new Secretary of State, William H. Seward and some Southern leaders to find a compromise that would avoid dissolution of the Union. Before hostilities broke out between the states, Gwin toured the South but returned to California. Here Gwin's Chivalry faction spoke on the South's behalf. Gwin even considered that it might be possible for a Republic of the Pacific centered on California to secede from the Union. But when his party suffered badly in the elections of 1861, he saw there was little more that he could do in California to promote that cause. Gwin returned east to New York on the same ship as Edwin Vose Sumner (commander of the Union Army's Department of the Pacific) and Mikhail Bakunin - an acquaintance of Joseph Heco. Sumner organized Gwin's arrest along with two other secessionists, John Slidell (soon after involved in the Trent Affair) and J.L. Brent. But President Abraham Lincoln intervened for their release, wishing to avoid an international incident, as Dr. Gwin had friends in Panama. Gwin sent his wife and one of his daughters to Europe returning himself to his plantation in Mississippi. The plantation was destroyed in the war and Gwin, a daughter, and son fled to Paris. In 1864 he attempted to interest Napoleon III in a project to settle American slave-owners in Sonora, Mexico. Despite a positive response from Napoleon III, the idea was rejected by his protégé, Maximilian I, who feared that Gwin and his southerners would take Sonora for themselves. After the war, he returned to the United States and gave himself up to General Philip Sheridan in New Orleans. General Sheridan granted his original request for release to rejoin his family, who had also returned, but that was countermanded by President Andrew Johnson, who was on the outs with Sheridan. Gwin retired to California and engaged in agricultural pursuits until his death in New York City in 1885. He was interred in Mountain View Cemetery, Oakland, California. Quinn, Arthur (1994). The Rivals: William Gwin, David Broderick, and the Birth of California. Crown Publishers: The Library of the American West, New York, NY. Robinson, W.W. (1948). Land in California. University of California Press, Berkeley and Los Angeles, CA. Senator William Gwin and the Politics of Prejudice by Howard A. DeWitt. Indifferently written college essay projecting modern points of view on the past. Henry Wilson was the 18th vice president of the United States (1873–75) and a senator from Massachusetts (1855–73). Before and during the American Civil War, he was a leading Republican, and a strong opponent of slavery. He devoted his energies to the destruction of the "Slave Power" – the faction of slave owners and their political allies which anti-slavery Americans saw as dominating the country. 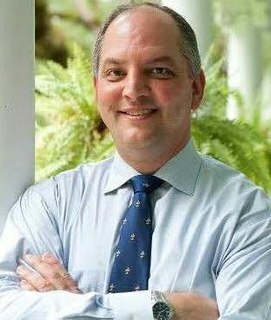 This is a list of the Governors of Louisiana, from acquisition by the United States in 1803 to the present day. For earlier governors of Louisiana see List of colonial governors of Louisiana. Henry Stuart Foote was a United States Senator from Mississippi and the chairman of the United States Senate Committee on Foreign Relations from 1847 to 1852. He was a Unionist Governor of Mississippi from 1852 to 1854, and an American Party supporter in California. During the American Civil War, he served in the First and Second Confederate Congresses. A practicing attorney, he published two memoirs related to the Civil War years, as well as a book on Texas prior to its annexation, and a postwar book on the legal profession and courts in the South. William Bigler was an American politician. A Democrat, he served as the 12th Governor of Pennsylvania from 1852 to 1855, and later a U.S. Senator for Pennsylvania from 1856 until 1861. David Colbreth Broderick was an attorney and politician, elected by the legislature as Democratic U.S. Senator from California. Born in Washington, DC, to Irish immigrant parents, he lived in New York until moving to California during the Gold Rush. He was a first cousin of politicians Andrew Kennedy of California and Case Broderick of Kansas. Milton Slocum Latham was an American politician, who served as the sixth governor of California and as a U.S. Representative and U.S. Senator. Latham holds the distinction of having the shortest governorship in California history, lasting for five days between January 9 and January 14, 1860. A Lecompton Democrat, Latham resigned from office after being elected by the legislature to fill the U.S. Senate seat left vacant by the death of David C. Broderick in a duel. John Bigler was an American lawyer, politician and diplomat. A Democrat, he served as the third governor of California from 1852 to 1856 and was the first California governor to complete an entire term in office, as well as the first to win re-election. His younger brother, William Bigler, was elected governor of Pennsylvania during the same period. Bigler was also appointed by President James Buchanan as the U.S. Minister to Chile from 1857 to 1861. James Alexander McDougall was an American attorney and politician elected to statewide office in two U.S. states, then to the United States House of Representatives and United States Senate. A gifted orator, McDougall began his career as a civil engineer in New York, then read law, rising quickly to heights in his profession in Illinois, where he became a friend of fellow prairie attorneys Abraham Lincoln, Edward D. Baker, and Stephen Douglas. Like many Americans, McDougall was drawn to Gold Rush California in 1849; he resumed his law practice and was elected second attorney general for the new state of California. 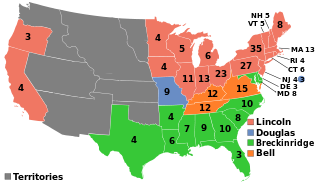 In the election of 1860, Lincoln won the presidency as a Republican, Baker was elected Republican senator from Oregon, and McDougall was elected senator from California, joining Douglas in the Senate as fellow War Democrats. All three of McDougall's Prairie State friends would die in the six years before his term as senator expired. A noted drinker, McDougall once gave an address to the Senate disparaging a proposed rule to outlaw the sale of alcohol in the United States Capitol, but died shortly after leaving the Senate, "...hastened by his indulgence in the bowl." Joseph Heco was the first Japanese person to be naturalized as a United States citizen and the first to publish a Japanese language newspaper. John Spafford Harris was an American politician for the state of Louisiana and member of the Republican Party. Born to a farm family in Truxton, New York, Harris was a delegate to the Louisiana state constitutional convention in 1868. He was a member of Louisiana State Senate in 1868 and the first Republican U.S. Senator from Louisiana, having served from 1868 to 1871. Harris was buried at Forestvale Cemetery in Helena, Montana.